Like everyone else who listens to podcasts and likes true crime despite themselves, the staff of The A.V. Club has fallen hard for Serial, the new podcast from This American Life producer Sarah Koenig. We come in Thursday mornings to spirited and hushed “have you listened yet?” discussions in our kitchen between various Onion, Inc. staffers, where we hash out everything from the existence of Jay to whether or not we can remember stuff that happened 15 years ago. 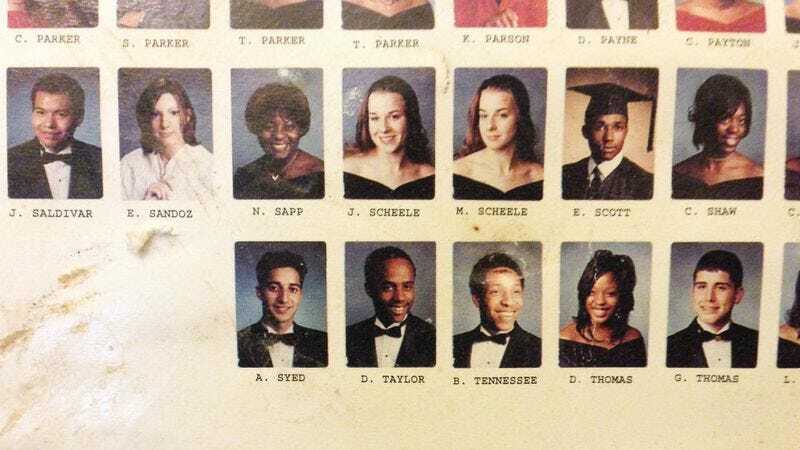 Since we were having so much fun participating in those chats, hashing out theories, and delving into Serial’s insane online community, we decided to contribute a little bit of insane fandom ourselves. Thus, The Serial Serial, The A.V. Club’s new Serial response podcast. Episode one is below, and as you might expect, you shouldn’t listen until you’ve listened to this week’s episode, “The Deal With Jay.” The same will go for future weeks’ episodes, which will run on Fridays, giving you a full day to get caught up with Serial. While The Serial Serial is certainly a work in progress, we hope you’ll get as obsessed with it as we are with Serial, because, seriously, did Adnan do it or what?